The fire department recently received “Accredited Agency” status from the Commission on Fire Accreditation International. Cherry Hill Fire Department is now one of 234 fire agencies in the world accredited by the CFAI. A long and detailed two-year process has reaped big rewards for the Cherry Hill Fire Department. On Sept. 1, the Commission on Fire Accreditation International named Cherry Hill Fire Department an Accredited Agency. 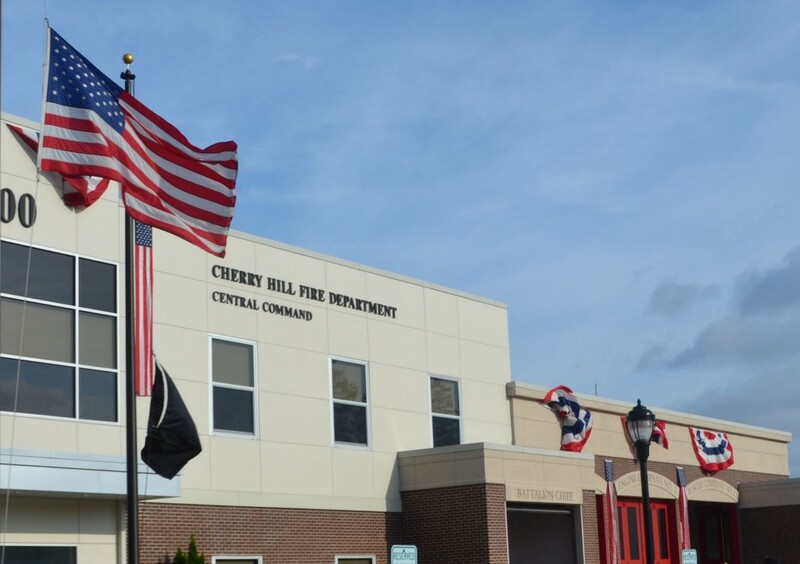 Cherry Hill became the first fire agency in New Jersey to receive the status and joined an exclusive club of 234 fire agencies the CFAI designates as an Accredited Agency. The process of becoming an Accredited Agency began more than two years ago in May 2014, when the fire department became an applicant agency. Kolbe said the department decided to begin the accreditation process to validate its efforts and also create more transparency with the community. “We wanted to do it to show the community of the value of what their taxes go to,” he added. Applicants in the CFAI accreditation program receive a packet of information detailing dozens of bullet points each fire department must satisfy to receive accreditation. There are more than 200 standards detailed in the manual spread across 10 categories. The categories cover everything involving a fire department from governance and administration of an agency all the way down to an assessment of apparatuses and how an agency works with local government and other fire districts. In those standards, a fire agency must meet a core set of 82 to become accredited. “This is all centered around the best practices of firefighting across the country,” Kolbe said. Early in the process, the fire department completed a self-assessment based on CFAI’s standards and submitted the information to the organization. Following this was an on-site peer review where five impartial officials from different levels of fire service and different areas of the country came to evaluate the fire department on the CFAI standards. The team completes a report and sends it to CFAI with a recommendation on whether the agency should be accredited. The CFAI later took all of the information and reviewed it before ruling on accreditation. Through the accreditation process, the fire department learned how to improve in a couple of key areas. One area was fire station coverage on the west side of town. Kolbe said the fire department plans to examine possibly relocating a fire station near the area of Route 38 and Haddonfield Road to better serve that section of town. Another area of improvement would be the reconstruction of the training building, something the fire department is already working on. CFAI’s accreditation of the Cherry Hill Fire Department runs through five years. Annually, the fire department must complete a progress report showing where the department has improved based on the commission’s recommendations. A Standards of Cover document based on the CFAI accreditation will be available to the public in the coming weeks and will be posted to the Cherry Hill Fire Department’s website at www.cherryhill-nj.com/175/Fire-Department.